Interesting card. 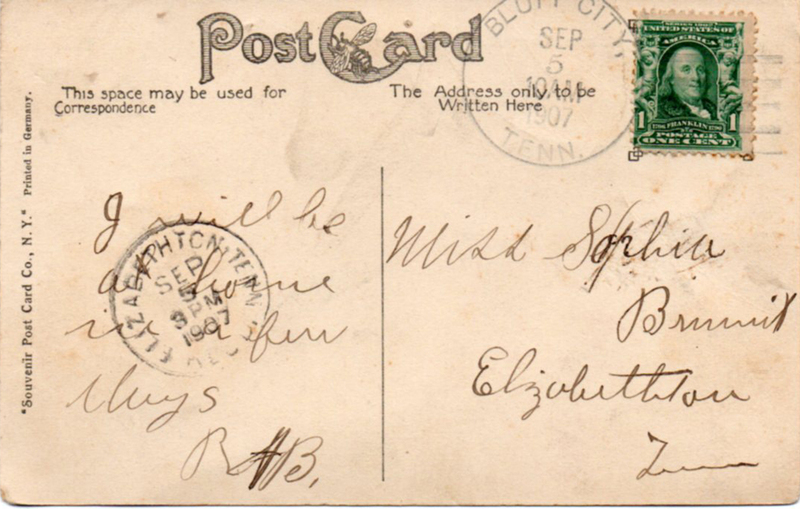 It was mailed in Bluff City September 5, 1907 at 10:00 am and arrived in Elizabethton the same day at 3:00 pm. 10 miles in 5 hours. Today, the postcard would go through Knoxville and take, maybe, 24 hours to get to its destination. Because progress. It’s a lithograph printed in Germany, as were most of the better postcards before the beginning of WWI, and was distributed by Souvenir Post Card Company in New York, NY. The company went under the Souvenir name from 1905 to 1914, so this is an early issue. This photograph was taken on a very cold winter day. There’s snow on the ground and you can see reflections on the ice on the river. There’s also a small house a little above middle left, under the two fir trees. My thought is that the Island of the title is on the right with just the tip of it showing. The view is due east, as far as I can tell. 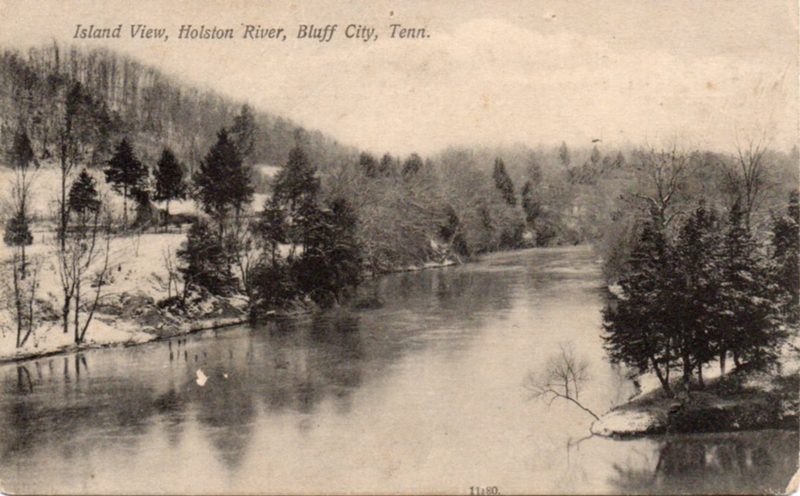 This is the original, non-dammed, dangerous Holston River. I don’t know the significance of the bee that’s shown in the “C” of PostCard. I’ll keep looking.